It is day 15 and the trip is slowly but surely coming to an end. Nonetheless, the project team organised a full program for this Thursday. After what should have been a short trip in the daily Shanghai traffic, we arrived at the Headquarters of Swissnex. This organisation is officially stated as part of the Department of Education and was founded in August 2008. By now, it is only partly financed by the Swiss government and but still represents Swiss interests in China. The 3-hour program was divided into five parts: Swissnex, the General Consulate of Shanghai, Introduction of the Delegation, Integrate Chinese Life and Solar Impact. First up was Isabel Götz, Head of Operations, who provided in-depth insights into Swissnex. 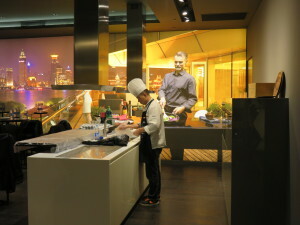 Apart from promoting Switzerland in general in China, Swissnex is a vital link for Swiss citizens and companies. 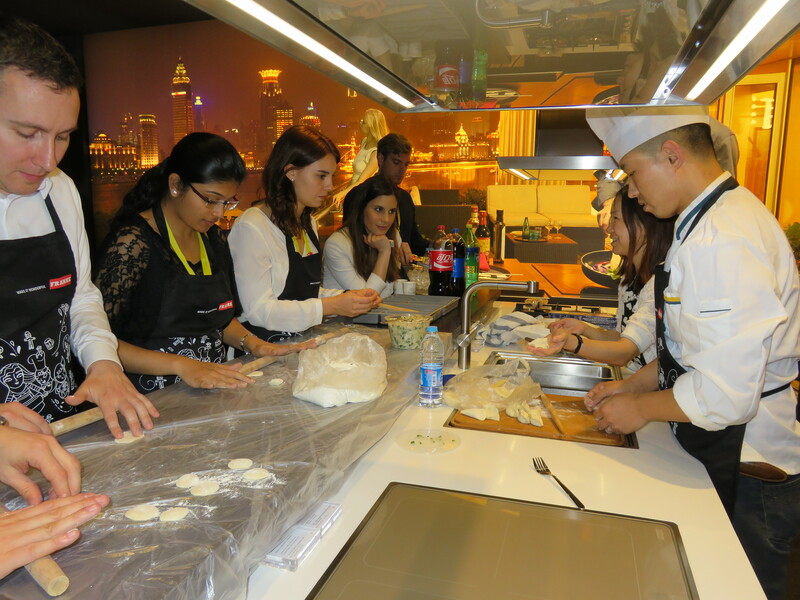 The range of services varies from arranging meetings to organising whole events. At the end of her presentation she also mentioned career possibilities involving Swissnex. Second was the General Consulate Shanghai which as a branch office of the embassy offers all official “embassy services” except for the political representation. The speaker strongly emphasised the importance of the Yangtze River Delta, which produces 23% of the national GDP but only controls 3% of the land mass and 16% of the population. 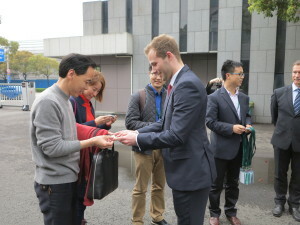 The third part was presented by Florian and Olivier, members of the Insight China project team. They gave a quick overview of the history of the project and what we have done up to today. Next was Bastien Dumont, Managing Director of Integrate Chinese Life (ICL). At the age of 19, he went to China to learn Mandarin and never went back since. His company organises trips, language courses and has its own network for business contacts. This year a partnership with Hutong School was arranged which will lead in a sharp increase from 80 students in 2012 to 1000 next year. The last part was a presentation from Solar Impact. It gave detailed information about the solar power in China and the big challenges, mainly cheap coal power plants. Furthermore the coal plants offer a lot of jobs and therefore 107 new coal plants were approved last year only (generating the equal to the CO2 output of Germany). To conclude the morning Swissnex offered a hearty lunch and time for smalltalk and networking. One of the last days of our amazing Onsite trip was packed with several company visits. 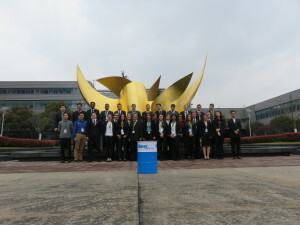 In the afternoon, we visited some of our partners and ,,Made in China 2025″ has been a main subject of today’s speakers! We visited the Shanghai Tobacco Machinery Co. Ltd. (STMC) and we have been told that a few years ago they imported the knowhow from Germany to build own tobacco machines. Today, they are the market leader in China for high-speed tobacco packaging machines. Blaser Swisslube, a joint partner of the International Student Projects, delivers their cooling lubricants for the huge mill centers. 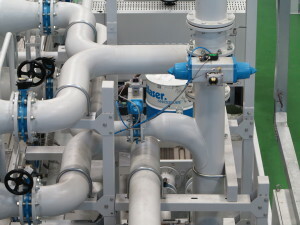 An automatic cleaning system separates the solids from the lubricants while it is cooled with heat exchangers. STMC is anxious to change their philosophy accordingly to ,,Made in China 2025″ in mainly three steps. 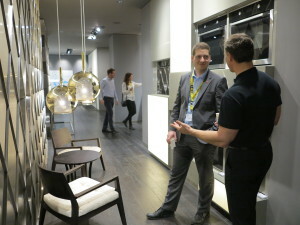 They want to build intelligent and sustainable shops and therefore STMC recently started building new offices with an intelligent lighting system. Furthermore, they integrated photovoltaic panels on the roof of their buildings and a water ring system. STMC also mentioned that they want to build an intelligent production process with a higher quality standard and they are planning some interactive platforms for their customers. In the evening, we visited an additional supporter of our project: Franke. 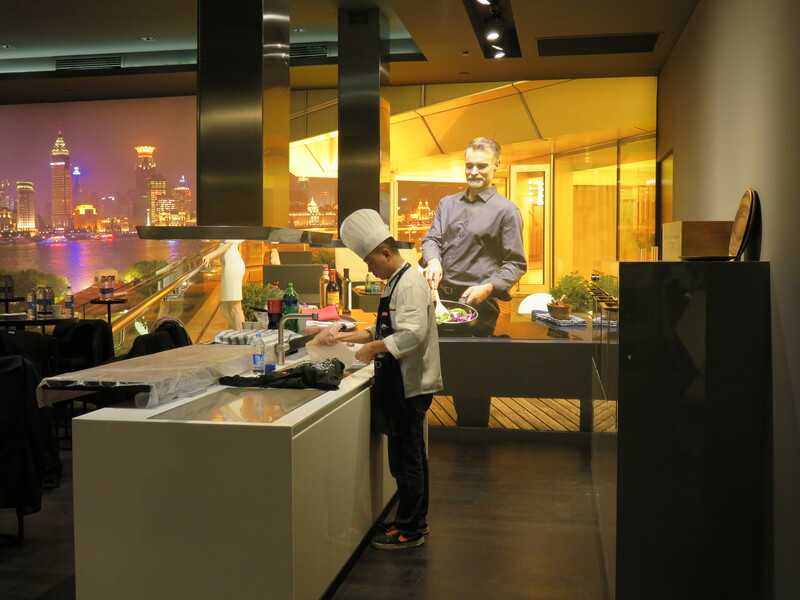 Their kitchen systems have solutions for washing, preparing and cooking in the kitchen. Starting with sink basins made of various materials, fittings, waste systems, extractor hoods, hobs and worktops made of stainless steel and Franke Stone, they also produce kitchen features such as ovens and coffee machines. However, the Chinese market requires a special kind of hood extractors due to the greasy Chinese food and also bigger and more powerful gas hops for the special Chinese pans. 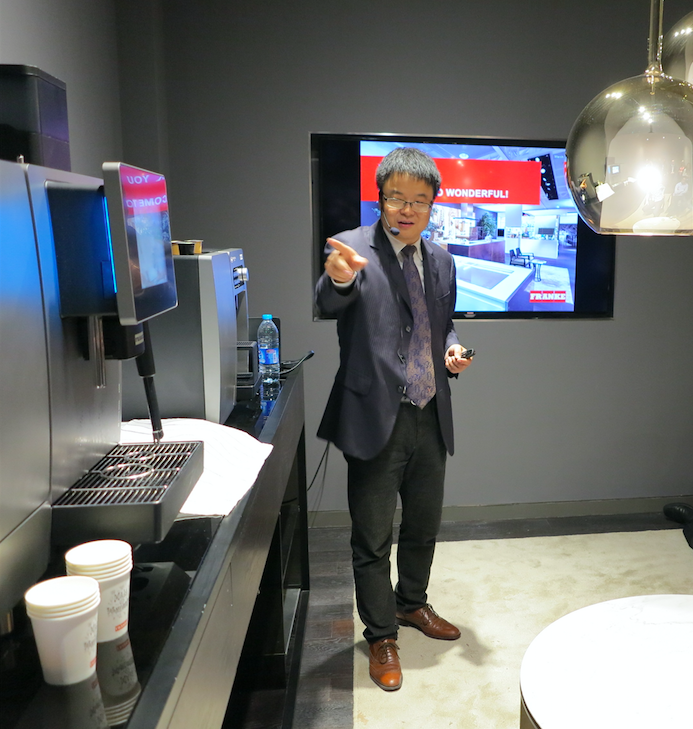 Franke makes 3% of their global business in China and therefore branding and marketing is getting more and more important in the Chinese market. For more than 100 years now, the brand Franke has been standing for quality and reliability. For the brand it is important, that the Chinese customers are aware of ,,Made in China 2025,, and that the brand is on the right way to achieve this goals!